As you’ve likely found, estimating the cost of a water treatment system is complicated, in part due to the many factors and variables that play a role in system design. This article helps to tease out some of these factors and show how they apply broadly across a variety of industrial water treatment systems. What’s included in an industrial water treatment system? Clarifiers for removal of suspended solids by sedimentation, flocculation, or coagulation. Lime softeners for reduction of total dissolved solids (TDS) in feed and wastewater. Oil/water separators and/or dissolved air flotation device for removal of oils. Particle filtration for removal of larger particulates and suspended solids. Membrane filtration for removal of dissolved particles, biological contaminants, and ionic substances. Reverse osmosis or nanofiltration for water purification. Filter presses for sludge dewatering. IX columns for softening and/or selective removal of ionic substances, including hardness, alkalinity, chloride, mercury, metals and organics, among other substances. Control panel (depending upon desired level of automation). Peripherals, including pumps, tanks, piping, valves, and skids. The actual components of your industrial water treatment system will depend upon your specific application. There is often flexibility in the use of these and other technologies in fulfilling a given treatment need, and familiarity with factors that drive costs up or down can help you to understand the best treatment system components to meet your needs and budget. What are the flow-rate requirements of the system? In other words, how fast will you need to process a given volume of water? What is the chemistry and quality of your influent stream? What is the target level of quality for treated water? What construction materials are required? 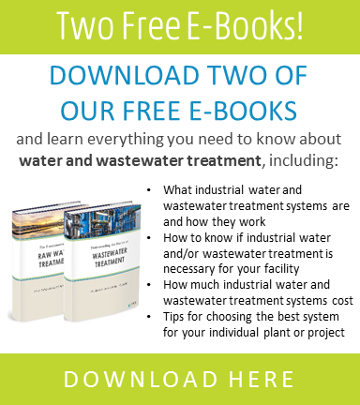 Answering these questions can help you to pinpoint your needs, and better understand the costs associated with an industrial water treatment system that’s right for your facility. In general, when it comes to industrial water treatment systems, lower flow rates translate to lower capital costs. While this rule holds true across most systems, flow rate can make a larger difference for some technologies over others. Cost differences between large and small microfiltration (MF) units, for example, are relatively scalable based on flow once you cover the base cost of engineering, control panel, cleaning systems, while the cost of large capacity ion exchange (IX) systems can be slightly more. As an example, increasing the flow by 50% can increase cost by about 20%. System flow rate is usually measured in gallons per minute (GPM) and/or gallons per day (GPD). When you budget for a new water treatment system, keep in mind that the higher the GPM or GPD capacity, the higher your investment will likely be. Flow rates are always factored into the system cost, so be sure you have an accurate measurement of your process needs when requesting a quote for a new water treatment system. A key factor in the cost of most industrial water treatment systems is the chemistry and content of the stream to be treated. It is important to thoroughly understand the types and concentrations of substances present, as well as any variability in stream makeup. In general, the greater the number of contaminants present, the greater the number of steps in a water treatment train, and the greater the up-front cost. This is particularly evident with IX systems, where a complex stream can increase the up-front cost several times over due to the need for greater numbers of resin varieties, chemicals, and IX beds or columns. For some technologies, such as RO/NF units, complex streams can greatly inflate costs due to the need for pretreatment. While not always strictly necessary, investment in appropriate pretreatment equipment can help to drastically cut long-term costs by protecting downstream equipment, improving product yields, and reducing waste disposal costs. It is also important to understand the target output you wish to achieve from an industrial water treatment system. If you are investing in a pharmaceutical water treatment system, for example, you are likely aiming to comply with regulatory standards, which can range substantially depending upon your products manufactured. Fully understanding the contaminant thresholds that are acceptable for your production limits can help to ensure that you choose the right technology to meet your needs, without overspending for water quality that exceeds your target range. The materials used to construct your water treatment system can have a huge impact on cost. While many industrial applications involve harsh conditions, such as high flow rates, extreme temperatures or pH levels, and/or damaging chemicals, others are less demanding. If this is the case at your facility, you may be able save on up-front costs by using more affordable materials such as PVC piping and FRP tanks, as opposed to more expensive components such as rubber-lined or stainless-steel vessels and/or piping. In many cases, you may also have the flexibility to choose between less-costly manual controls and comparatively more expensive automated PLC panels. Up-front planning. The critical first step in securing an industrial water treatment system is planning the concepts, designs, and regulatory requirements for your project. The cost of engineering can typically run 10–15% of the cost of the entire project and is usually phased in over the course of the project, with most of your investment being allocated to the facility’s general arrangement, mechanical, electrical, and civil design. Space requirements. When planning for any water treatment system, the size of your system and your plant location will affect cost. If physical space is very expensive at your plant, for example, it may be more cost-effective to invest in technology with a compact footprint. Depending upon your specific water treatment goals and process conditions, you may not have much flexibility in system size, however it pays to take the system footprint into account if you are considering various treatment technologies. Installation rates. Labor costs can vary widely from one location to the next, so be sure to investigate the installation rates specific to your area when planning your project budget. In areas where installation costs are high, prepackaged modular systems may be more affordable than build-in-place facilities. Installation costs typically range between 15–40% of the project cost, depending on the degree of prepackaging and amount of site civil work needed. Level of system automation needed.There are two basic approaches to managing your water treatment system. The first is a higher level of automation that requires very little operator intervention. This approach can eliminate human error associated with running the equipment, and can also minimize ongoing labor costs. The downside is that greater automation means a more costly up-front investment in sophisticated PLC controls and instrumentation. The second approach involves a lower level of automation and a greater reliance on operators. While manual controls can save up-front capital costs, they can also mean a greater long term investment in labor. Considering your staffing availability as well as long- and short-term costs can help you decide on the level of automation that’s right for your water treatment system. Turnkey and prepackaged systems. Depending upon the scope and complexity of your water treatment needs, you may have the opportunity to choose between a prepackaged and a build-in-place solution. Prepackaged systems typically cost the same or less, and can save up to a few months of construction time. Another benefit to choosing a prepackaged water treatment system is that the production facilities and fabrication shops that offer turnkey systems generally have specialized knowledge and experience in manufacturing the types of equipment used in your solution. This translates to quick and efficient fabrication, as opposed to the delays and added costs that can arise from hiring and onboarding a field crew for a build-in-place system. Shipping the system to your plant. When having your water treatment system shipped to your plant, plant on about 5–10% of the cost of the equipment for freight. This can vary widely depending upon the time of year you are purchasing your system in addition to where your plant is located in relation to the manufacturing facility. Operation costs. 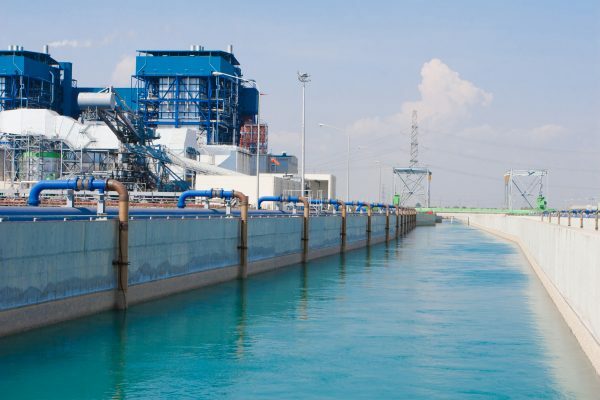 In water treatment, operational costs are often based on a complex and interconnected set of factors. In planning a water treatment system, you’ll need to weigh the pros and cons of initial versus long-term cost investment, the cost ramifications of adding a pre- or post-treatment system, as well as the availability of staff and space at your plant. For IX resin technologies, you’ll also need to consider whether contracting for off-site regeneration is the better choice. No matter which systems you rely on, commissioning an operating cost analysis can help you to accurately budget for all the chemicals, equipment, labor, and other costs involved in maintaining your system through its life cycle. Regulatory costs. It is important to fully understand regulatory requirements for your plant, especially in terms of the cost of compliance for waste disposal. As regulations are increasingly stringent and activity is often subject to oversight, be sure to thoroughly investigate whether you’ll need permits to discharge, and that your facility is approved prior to releasing any waste, as failure to comply with local restrictions can result in heavy fines. Waste disposal costs. Also consider that there will be costs to treating the secondary waste produced by your water treatment system(s). With stringent environmental regulations, you will need to either treat the waste for hauling away or solidify with a filter press/evaporator and transport to third party disposal firm. Other possible costs and fees.When purchasing a water treatment system, you’ll also want to be sure not to overlook other hidden costs and fees. For example: Will there be any taxes on the system or additional purchasing fees? What effect will the proposed system have on utility costs? Will you need to pay for ongoing analytical, lab, and/or compliance testing? With these factors in mind, it is often a good strategy to check with your system engineers and/or manufacturer about affordable alternatives. They might be able to shed some light on installation-friendly systems or provide suggestions to help keep your costs to a minimum. Boiler feed water treatment systems. Low-pressure boilers require less exacting feed water quality than high-pressure boilers, making their respective treatment systems comparatively less involved and less costly. That said, a 100 to 200 GPM system would likely range between $50,000 and $250,000 for low pressure applications, and $500,000 to $1.5 million for high pressure applications. Raw water treatment systems. A standard 200 to 1000 GPM capacity raw water treatment system can range from $975,000 to $3 million, depending upon flow rate and water quality. Cooling tower water treatment systems. A standard 100 GPM system would run somewhere between $50,000 and $250,000, with more complex needs like desilication and softening pushing the cost toward the upper limit. Microfiltration (MF) and ultrafiltration (UF) systems. While MF/UF are often cited for their cost-effectiveness, their costs can range widely depending upon the materials used and the flow rate needed. A basic 10 to 20 GPM MF/UF system would likely cost less than $100,000, while a larger 100 to 200 GPM unit would run between $150,000 and $450,000 depending upon the quality of materials used. Nanofiltration (NF) and reverse osmosis (RO) systems. Costs for RO/NF systems range significantly depending upon the flow rate and level of pretreatment needed. A simple RO/NF system of 5 to 10 GPM capacity might run less than $60,000, while a large 300 GPM system with a complex pretreatment system might run as much as $2 to $4 million. Ion exchange (IX) resin systems. IX systems actually represent a large family of separation strategies, with widely variant costs that are closely tied to stream chemistry, as well as flow rate and fabrication materials. At the low end, a simple 20 GPM IX system would likely cost less than $100,000, while a system of similar capacity but greater chemical complexity might double or even quadruple the cost. At the high end, a complex IX system with a capacity of 2000 GPM might cost as much as $7 to $10 million. For most industrial applications, a 150,000 GPD capacity WWTS would cost an estimated $500,000 to $1.5 million inclusive of all necessary design, engineering, equipment, installation, and startup. More complex streams, higher flow rates, and higher effluent quality standards will all drive the system cost upward. Zero liquid discharge (ZLD) systems present a special case where waste treatment is concerned. Since they remove all water from the effluent stream, they include specialized evaporator/crystallizer units which can account for well over half the total system cost. All in all, a fully-installed 1 to 20 GPM ZLD system will run between $250,000 and $2 million, while a 1000 to 3000 GPM capacity ZLD system will cost $25 to $50 million. SAMCO has over 40 years’ experience custom-designing and manufacturing industrial water treatment systems for a range of industries and solutions, so please feel free to reach out to us with your questions. For more information or to get in touch, contact us here to set up a consultation with an engineer or request a quote. We can walk you through the steps for developing the proper solution and realistic cost for your industrial water treatment system needs. To learn more about the services and technologies that SAMCO offers, visit our page on water treatment solutions here.